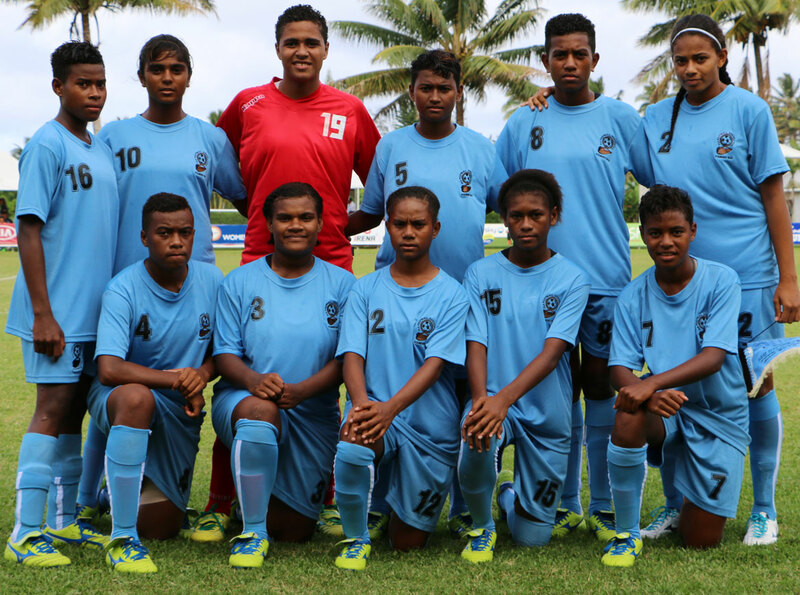 Francine Lockington (in red) with her U-17 Fiji teammates in 2016. The Oceania Football Confederation is deeply saddened to learn of the passing of Fiji U-19 goalkeeper Francine Lockington, who passed away in Lautoka yesterday. Lockington was due to travel to New Zealand with her teammates to participate in the OFC U-19 Women’s Championship but withdrew shortly before the team departed Fiji for Auckland due to illness. A promising young talent, Lockington picked up the Golden Glove award at the OFC U-17 Women’s Championship in 2016, and also won the Fiji FA Women’s Footballer of the Year. OFC President David Chung said his thoughts and prayers go out to the family in this difficult time. “To lose a family member is never easy, and to lose someone with their whole life ahead of them is devastating. Fiji FA CEO Mohammed Yusef said it was a sad day for Fiji as it loses a player with a very bright future ahead of her. “The President, Fiji FA BOC and all executives are shocked by the news of the passing away of Francine, and we send our deepest sympathies and condolences to her grieving family. There will be a moment’s silence observed ahead of the OFC U-19 Women’s Championship match between Samoa and Fiji at 3pm this afternoon.